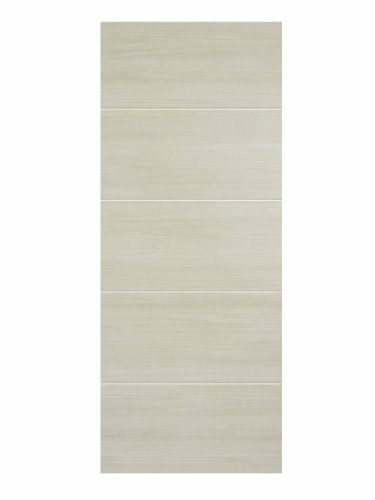 Ivory Laminated Santandor FD 30 Fire Door sleek modern, easy to clean. Ivory Laminated Santandor FD 30 Fire Door. Fire Door FD30 pale Ivory colourway. Ivory Laminated Santandor FD 30 Fire Door. Modern design with five panels. This time featured in an ivory, laminated finish, giving a sophisticated, sleek look.